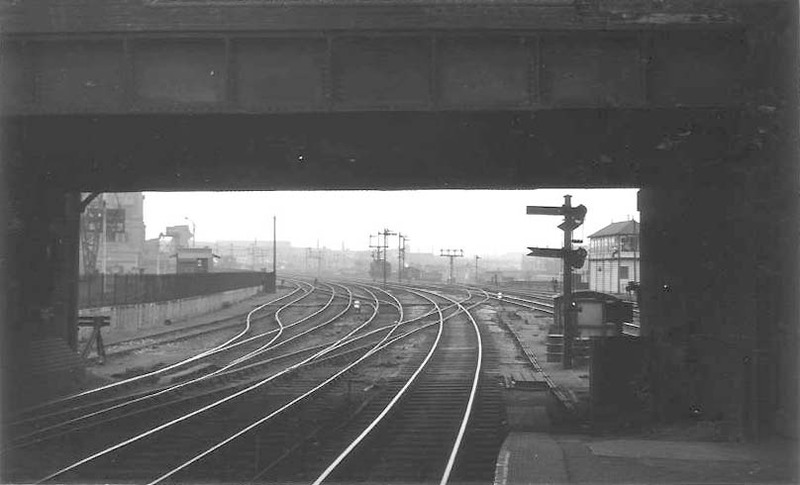 Looking under the bridge carrying Saltley Road over the railway towards Camp Hill with Saltley Junction signal box on the right on 25th June 1954. The signals on the left have been mounted on short posts so that drivers of trains passing through on Saltley station's down platform can have an unobstructed view. The short siding on the left would be used by banking engines.